We, the women of Idlib, address the world today as part of a campaign to stand in solidarity with our people. We raise our voices on behalf of all civilians in Idlib to protect our children and families in the dangerous situation we face today. We raise our voices for the 2.9 million people in Idlib, including all those displaced from other parts of Syria to our region. The province had witnessed a period of peace after the cease-fire agreement throughout Syria, which came into force on 30 December 2016 under the Turkish-Russian guarantee and an international monitoring mechanism. We recall when that peace was broken by the massacre at Khan Sheikhoun, when the Syrian regime bombed the city with internationally banned weapons on 4 April 2017. It killed nearly 100 people and injured more than 400, a violation of international humanitarian law, particularly the four Geneva Conventions and their Protocols and conventions banning the use of internationally prohibited weapons. On 19 September 2017, the Syrian regime and its allies bombed several villages and towns in Idlib, killing at least 136 people, including 23 children and 24 women, and about 64 incidents of attacks on vital civilian structures were recorded: 10 hospitals, 6 schools, 16 civil defence centres run by the White Helmets. The number of raids in eight days reached 714 and 13 explosive barrel bombs were dropped. The international community and all international and human rights organizations to take responsibility and stand in solidarity with the people of Idlib, and to put pressure to protect civilians and ensure their families’ safety. 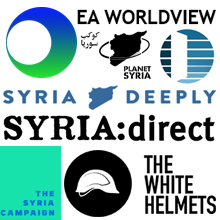 Fighting parties inside Syria, and their international allies, take immediate steps to end the attacks and to protect life-saving medical facilities and the infrastructure of civilian life, such as schools and community centres, which provide basic services and assistance to the citizens of Idlib. All of our demands are summarized in the implementation of the Geneva 1 Accord and the relevant international resolutions, including resolution 2254, paragraphs 12/13/14/15, on the humanitarian file regarding the immediate cessation of attacks against civilians, the prevention of the indiscriminate use of weapons, and the protection of installations under Additional Protocol II to Geneva conventions, 1977. We also call on the armed opposition factions to leave the urban areas and to not take shelter in civilian areas or use the civilian population as a human shield in the conflict. By addressing you today, we try to shine a light on the horror and fear we have over our fate and the fate of our families. We call upon civil society organizations and anyone who wants to contribute to stopping our tragedy by standing with the people of Idlib to endorse this statement and share it with those who have the power to make a difference. We do not want to experience the same tragedy that took place in Aleppo, as Idlib has become the last resort for all those fleeing violence and those who have been forcibly displaced. Finally, we would like to remind the world that the fight against terrorism cannot be used as a pretext for the bombing, killing and forced displacement of civilians. As women activists on the ground in Idlib, we fight everyday against extremist ideology by spreading knowledge and education. Allowing such war crimes under the name of fighting terrorism is terrorism itself. 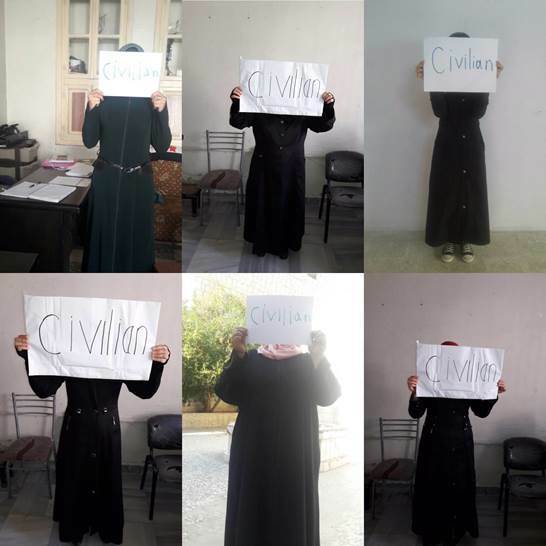 This letter has been written by 40 women in Idlib, who would like to draw attention to the situation on the ground. They are women’s right activists and leaders in their community, but above all they are civilians. 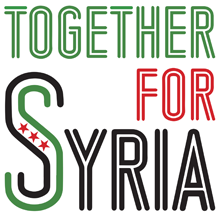 They have been supported by Women Now For Development, a Syrian non-governmental organisation established in 2012.